Six high school friends are bound together again by a sinister chain letter passing into their lives through e-mails and text messages. 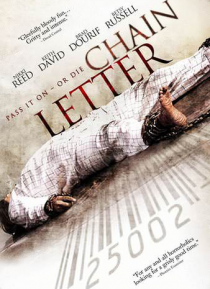 If the deadly letter isn't passed on, the recipient faces a grisly, unexpected death -and nothing can stop it. As time runs out and the deadly letter's rules become more challenging, the survivors must untangle the chilling secret -or die trying.